While the research in the Journal of the American Medical Association stops short of proving that the drugs cause melanoma, researchers said their findings warrant a closer look at medications known as PDE5 (phosphodiesterase type 5) inhibitors. They include sildenafil, vardenafil and tadalafil,which go by brand names such as Viagra, Levitra, Cialis and others. Using Swedish medical records spanning 2006 to 2012, researchers found about 4,000 cases of melanoma. Of those patients, 11 percent had filled at least one prescription for a PDE5 inhibitor to treat erectile dysfunction. When comparing these men to a control group of cancer-free men selected randomly from the same registry and matched by age, researchers found the risk of melanoma was 21 percent higher in men who took the erectile dysfunction drugs. However, the most pronounced risk was seen in men who had filled a single prescription (32 percent higher). The risk of melanoma in men who filled multiple prescriptions was 14 percent, which was not statistically significant, according to the study led by doctor Stacy Loeb of New York University. Researchers were also puzzled by the finding that men taking ED drugs were more likely to be diagnosed with low-grade melanoma, not advanced or high risk cancers. 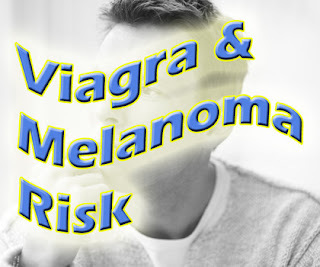 Study authors stressed that the risk of melanoma they found among erectile dysfunction drug takers was modest, and would translate to about seven additional cases of cancer per 100,000 men taking PDE5 inhibitors. "The observed association may reflect confounding [other factors that can influence outcomes] by lifestyle factors associated with both PDE5 inhibitor use and low-stage melanoma," concluded the study. According to Chris Chapple, Secretary General of the European Association of Urology, the findings are an "interesting observation" but more research is needed. 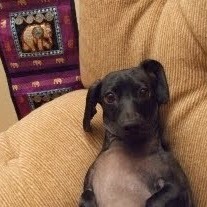 "This paper reports a previously unreported potential association," said Chapple, who was not involved in the study. "It's an interesting observation, but it should not be a trigger for any change in current clinical practice relating to the use of drugs for the treatment of erectile dysfunction such as Viagra and related compounds."